As we gear up for our busy 2016 wedding season, we want to take a moment to reflect on some of the features and trends from the 2015 season. 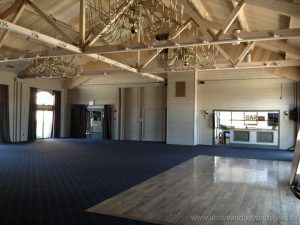 It was a milestone year for Above & Beyond as it marked the launch of our brand new website and blog. The new website allowed us to update our brand with a creative design that best reflects what we offer our clients. The most popular items that we rented out in 2015 were our barnboard backdrops. 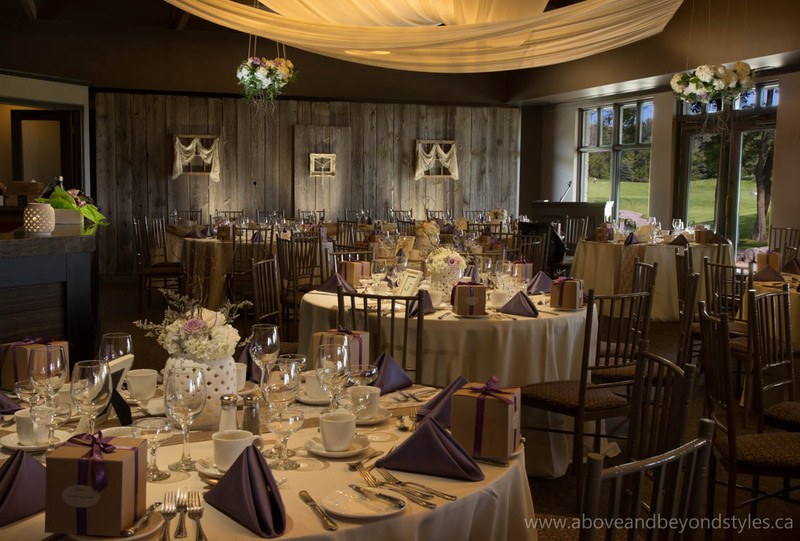 We have a rustic barn board backdrop, a white vintage teahouse barnboard backdrop, and in 2015 we created our new “Bell’s barnboard backdrop.” The Bell’s barnboard backdrop was the main feature of Felisha & Dave’s wedding at West Haven Golf & Country Club. 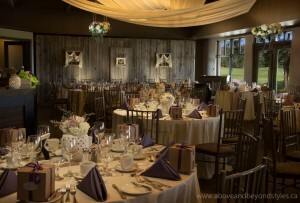 One of our favourite design elements from this wedding was the hanging floral arrangements above a few select tables, courtesy of Lyric Flowers. Another event that we all loved from 2015, is our current Poster Bride, Jillian Vanhevel and her husband, Daniel’s wedding at the Oakwood Resort. This wedding was a complete transformation of the reception hall, entrance hall, and terrace. 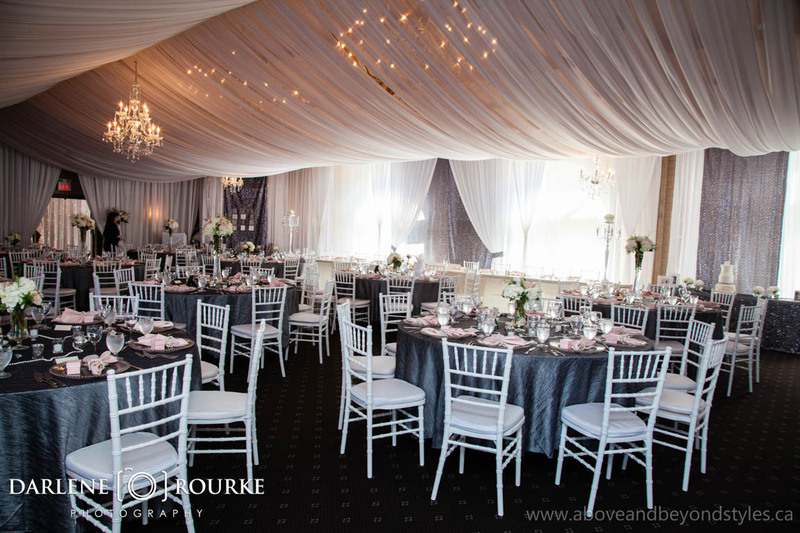 There were many ‘wow’ factors in this wedding, but we absolutely loved the crystal curtains, chandeliers, flowers, and especially the romantic colour palette. Another popular trend from last season that was showcased in this wedding was sequins, and we expect to continue to see more sequins this season! The final element we wanted to remember from 2015 was the increase in popularity of chalkboard art! 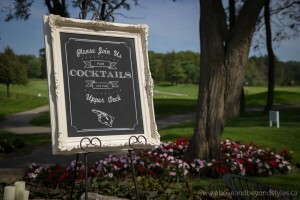 A talented member of our team creates all of our chalkboard signs, which are customized for each event. 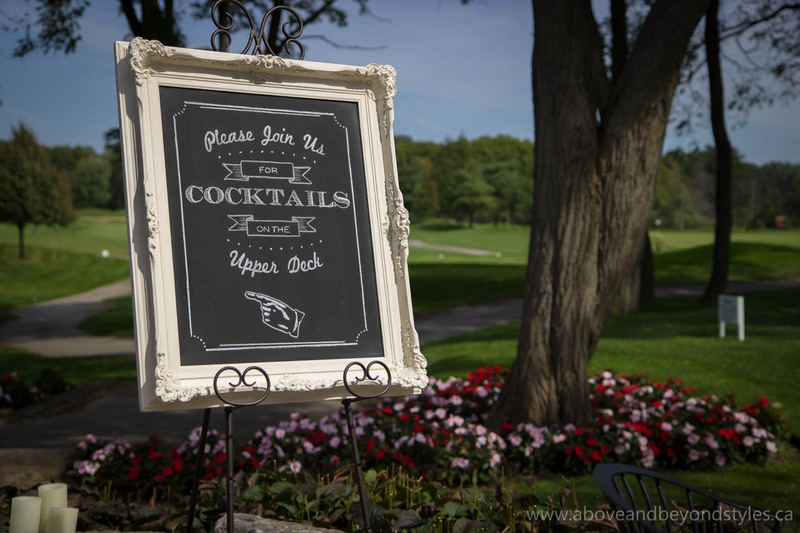 These custom chalkboards are a creative way to add a unique element to your wedding that can be both decorative and informative. We had many weddings in 2015 that used chalkboard art and we are continuing to see this trend in 2016 as well! Now that we have taken a look back at some of our favourite trends and features from 2015, we can’t wait to show you what we have in store for 2016!